At year end 2009, Science, Nature and TIME magazine all reported that rapamycin, an antibiotic used in transplant patients, had been shown to extend the lifespan of aged mice and was among the most significant and exciting scientific breakthroughs of the year. Science, in an article called “Live Long and Prosper,” named the rapamycin study as a runner-up for Breakthrough of the Year. Nature included a science writer’s article about the study in its Reader’s Choice Top 10 feature. TIME mentioned the research in The Year in Health 2009. The Barshop Institute for Longevity and Aging Studies is dedicated to the promotion of healthy aging for everyone. Its world-class scientific community of researchers and physicians seek discoveries to treat and ameliorate the underlying causes of aging, a cost-effective approach to broadly enhance the quality of later life. 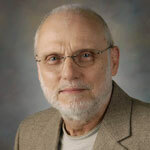 Explore http://www.barshop.uthscsa.edu to learn about the work of this community of researchers and physicians.